February 25, 2019 · OK! 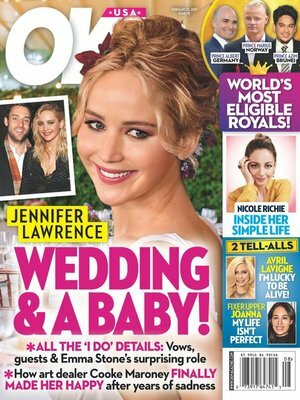 BLUSHING BRIDE Insiders give the scoop on Jennifer Lawrence and Cooke Maroney’s big day! KEEPING IT REAL Fixer Upper’s Joanna Gaines reveals she still struggles with the pressure to be perfect. ROYAL CRUSHES Get to know the rich and gorgeous blue bloods who are still looking for love!